The heavy hitter in office automation offers 17 different options. Prerequisites are simple: The business owner must have Adobe Acrobat or Microsoft Word installed and running to access these documents. Acrobat is perhaps the best option, since it makes filling in the blanks quick and easy. 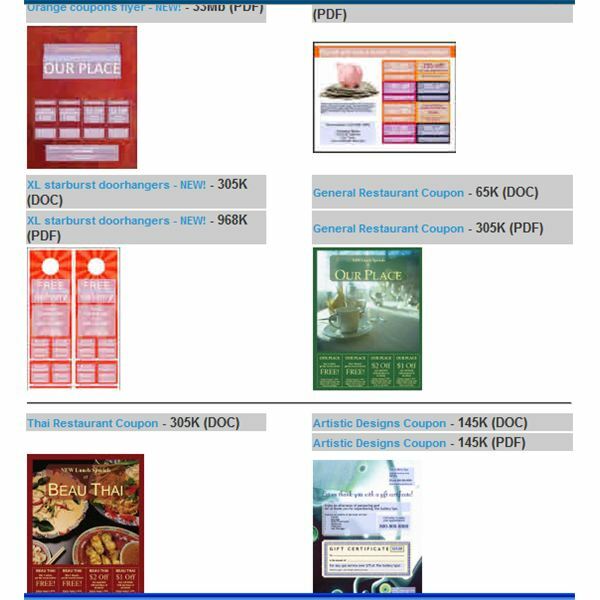 Daily Coupon Flyer/Orange Flyer (for retailers): Plan out a weekly sales campaign with these convenient handouts. Slip them into bags, boxes, paper the neighborhood with them or use them in a direct mail campaign. What makes them so easy to use is the adaptability of sales dates, which is perfect for recurring campaigns or seasonal specials. Six fields allow for different specials. Piggy Bank (for retailers): Eight fields are customizable for percent-off sales and dollar-off specials. The graphics underscore the savings aspects. This is a good choice for a direct mailer and Sunday paper advertisement insert. Door hangers (for restaurants): They come two to a page and offer specials on delivery or dine-in food choices. General/Thai Restaurant (for restaurants): A step up from the food delivery business door hangers, these full-page ads feature upscale graphics for a sit-down meal or an enticing Thai-themed backdrop for ethnic food choices. Individually framed coupons are great for cutting out. Gift certificate (for spas): A highly artistic rendition of a gift certificate promotes a spa, beauty or wellness related business. Advise clients of services, hours and encourage new business with a $15 or higher certificate. Tread carefully! New gift card rules may prohibit you from treating this coupon like any other when it comes to expiration dates. Generic coupons (for any business): They take up half a page — there is also a full-page option available — and highlight four special offers as well as two specialties. In a pinch, this is the type of printable coupon template to use for the quick special offer or spur of the moment inventory reduction drive. Repair Shop Offers: Excellent for the bike or car repair shop, these coupons encourage repeat maintenance and sweeten the deal with special offers. Adapt the template to highlight your business’ specialty aspects. Red Hot/Starfish/Coupon Six (generic): These templates are only available for Microsoft Office. They are available in regular and A4 sizes. Summer Savings/Gift Coupon/Bright Coupon (generic): Suitable for any type of business, these templates are available only as PDF files. More whimsical in approach, Microsoft offers 13 different coupons that fall into six categories. They are targeted to the personal user, the small business and the seasonal retailer. Make sure you enable cookies — and run Word 2003 or 2007 — for the download to proceed. Funny Money (general): Use it for in-store promotions or as coupons. These come in $1 and $5 denominations with eight to one page. Father’s Day/Mother’s Day (general): The obvious user here is the family who wants to honor dad on his special day. Yet even the business owner may be able to capitalize on the special occasion and offer free car washes or movies. Christmas Template (general): These work much like the Father’s or Mother’s Day coupons but have a Christmas holiday motif. Entrepreneurs can make them specialized promotional items, especially when a relationship with another business already exists. 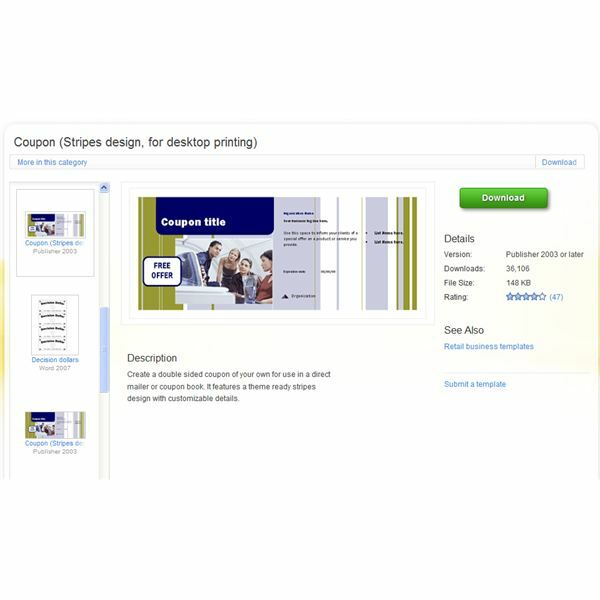 Coupon (general): This coupon is double-sided and works as a print-ready submission to a coupon booklet manufacturer or coupon mailing company. Include it in shopping bags or hand them out as incentives. One-sided versions exist. Punch Card (retailer or service provider): Incentivize repeat business with a punch card. Entice consumers to buy the good or service 10 times so as to earn one free item. 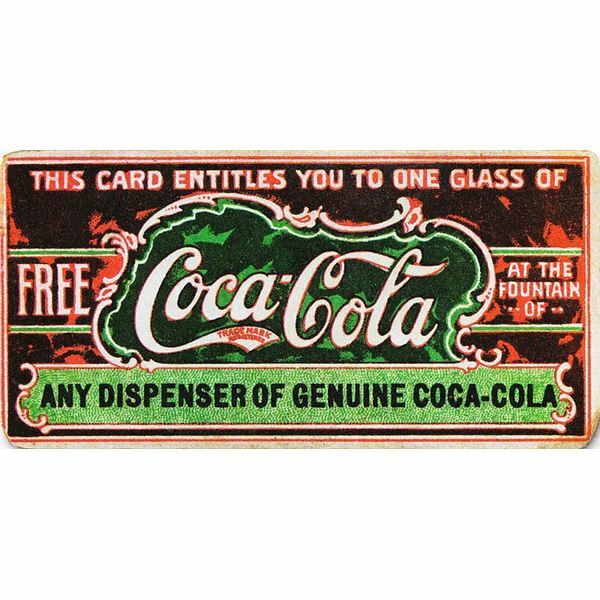 Discount Coupon (retailer): Use if for a retail shop or a spa; encourage the consumer to try new goods or services by offering them free with the purchase of another good or service. The hobbyist and artisan will appreciate the whimsical approach to coupon making and printing. 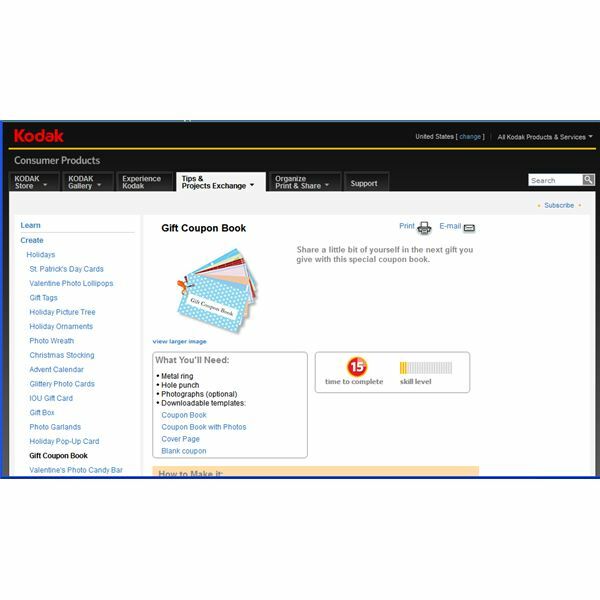 Kodak walks you through the entire process and allows you to download covers and coupon pages as PDF files. These coupon books work well as personal gifts. For the entrepreneur with the hobby that just recently became a home based business, they help to preserve business relationships. If you are a home daycare provider, dog walker, pet sitter or new vet, these coupons allow for personalization — with photos! — as well as functionality. Free printable coupon templates offer plenty of options for the home user, the business owner and the marketer intending to promote business clients. The sheer volume of possible campaign templates makes it possible to keep the content fresh and interesting, while nevertheless providing a varied approach to couponing.